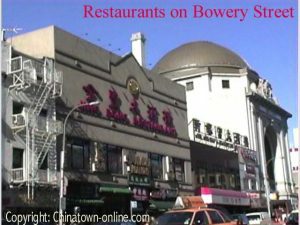 Canal Street, the busiest street in Chinatown, runs from east to west. 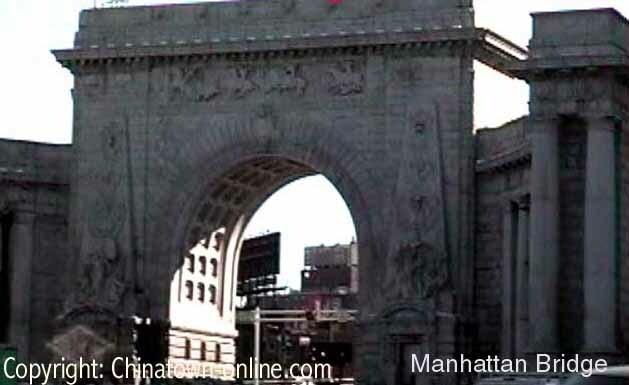 At its west, it is the Hudson River, and at its east, it is the Manhattan Bridge Gate. Everyday, it is crowded with visitors from all over the world. Stores, banks, supermarkets, restaurants, offices are all found on this street. Peddlers make it even more crowded. Mott Street, crossing Canal Street, is the heart of Chinatown. 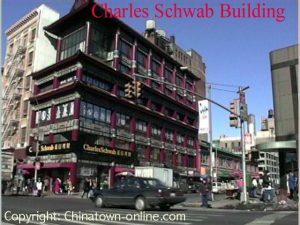 Like Canal Street, it is crowded by stores, supermarkets, restaurants, cafes, etc. 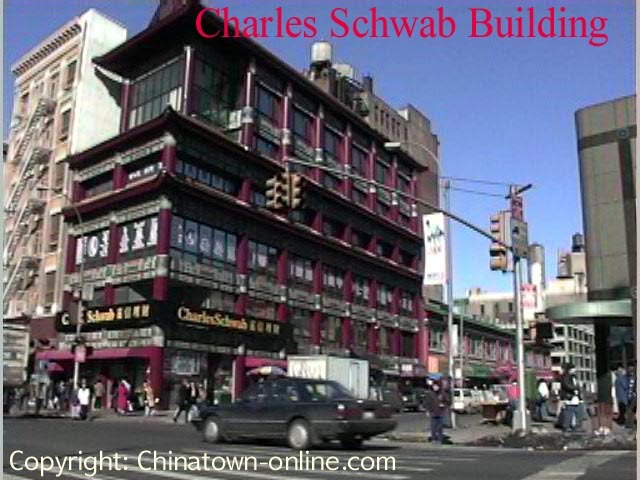 It is considered the paradise for shopping in Chinatown. Bowery Street, crossed by Canal Street on the east side, is dotted with stores and travel agencies. Confucius Plaza and Chatham Square are located on this street (see Sightseeing). 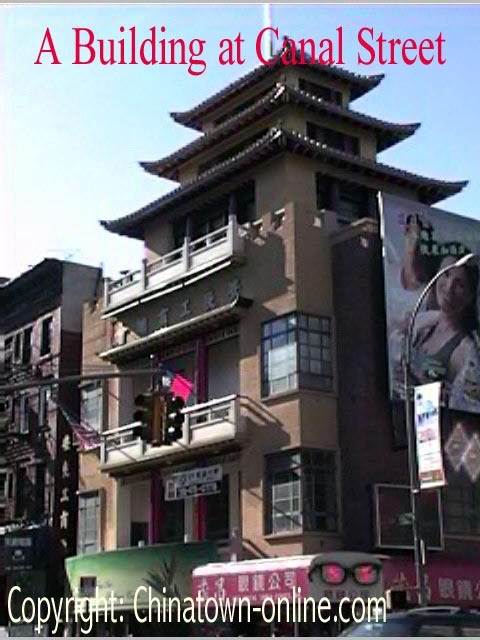 Jin Feng Restaurant, the biggest in Chinatown, is at its corner with Canal Street. East Broadway, a litter outside of Chinatown at the east, is where most Chinese do their business and spend their daily life. It is also crowded not by visitors but by local Chinese. 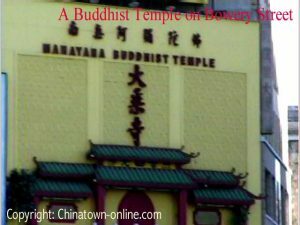 The street is flanked by different kinds of cheap stores and traditional Chinese restaurants. 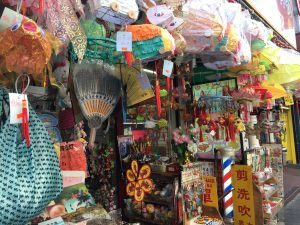 As a visitor or shopper, other Chinatown streets you should not miss are the ones surrounding Canal and Mott Streets, such as Baxter, Mulberry and Elizabeth Streets, where you see almost no difference from Canal and Mott Streets. Walking a few blocks further, you will find Pell Street and Doyers Street, where more stores and restaurants will make your visit more fruitful. 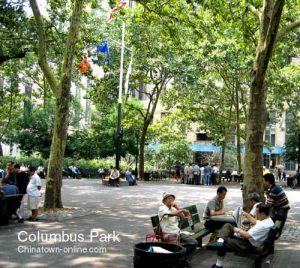 Chinese are growing in New York. 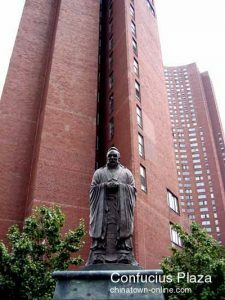 The old Manhattan Chinatown is no longer big enough. 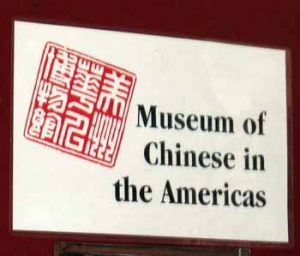 Chinese are spreading into New York other places. 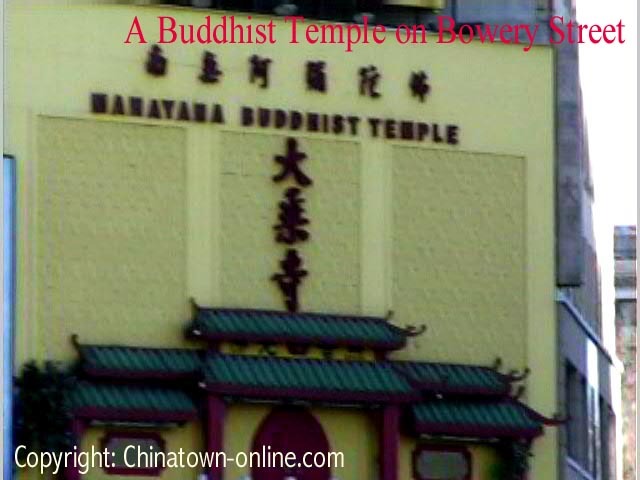 New Chinatowns have been established and are growing in New York other boroughs. The two new ones are in Flushing, Queens and Sunset Park, Brooklyn.